In other words, to understand HOW to develop something and/or HOW to measure something, first requires an understanding of WHAT is to be developed and WHAT is to be measured. It is in understanding the WHAT that will determine the HOW’s of your program prescriptions. As professionals and as a profession, it behooves us therefore to take a critical look at the industries definitions of EXERCISE. The point I am trying to make is that regardless of how you define the different aspects of exercise (i.e. strength, flexibility, cardio-respiratory fitness, etc.) the current reality in the profession is that there are NO one generic/universally accepted definitions industry wide. Consequently, there is NO one generic/universally accepted way to develop/measure fitness. Therefore, as health & fitness professionals, to say that we exist, work and make a living in a precariously tenuous position is an understatement – but that is the HARD reality of the situation. Given that hard reality, it comes as no surprise to me that there exists controversy, disagreement, dissention, and downright personal animosities in this profession. To be a health & fitness professional in this day and age is to be by definition (or lack thereof) — to be misunderstood …, crazy, or insane or whatever you want to call it. Rambling as I am, that is the state of the union of the health & fitness profession as this one dumbbell coach sees it. Having stated that, I do not want to sour you on the profession. Health & Fitness is a great profession that has many rewards. However, with respect to being a practitioner, you need to not only understand the realities – but you need to embrace them. The field needs individuals that are passionate, professional and principled. Having “thick skin” may be another requisite characteristic. So what’s the answer? I emphatically DON”T KNOW! What I do know, however, is that as a profession we do need to start taking a critical look at asking the RIGHT questions with respect to defining outcomes before we begin discussing the cause/effect relationship of developing those outcomes. So where do we begin? In the next series of articles, I will ask some of those questions — beginning with “WHAT IS STRENGTH?” In doing so, it will provide a forum for professional dialog that will initiate the steps in coming to a consensus understanding on “HOW TO BEST DEVELOP?” and/or “HOW TO BEST MEASURE?” the outcomes we all seek to develop. And in the end, it is my hope that in the asking it will provide a higher level of service in those who have entrusted their health to us. For those who don’t know Mark, here is a bit more info about him. Recently completed his fifteenth season as a Strength & Conditioning Coach in professional football with the Hartford Colonials of the United Football League (UFL). 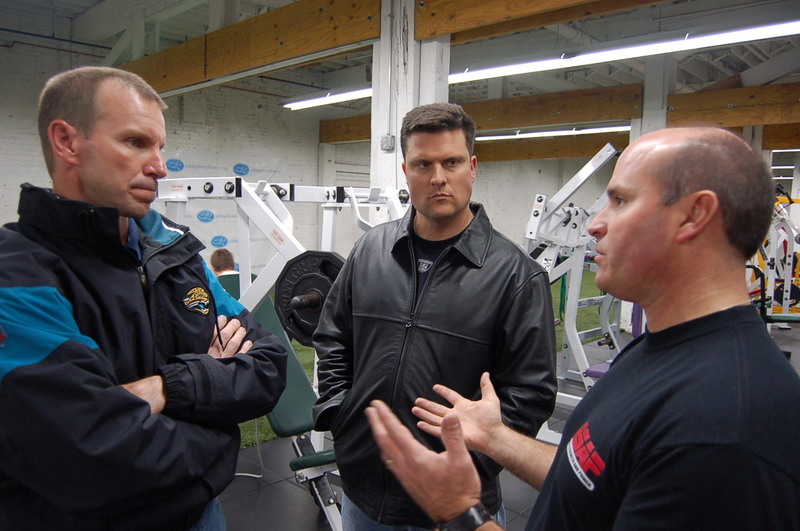 A fourteen-year National Football League (NFL) veteran, Asanovich was hired by the Jacksonville Jaguars on February 1, 2003 after spending six seasons as the Strength & Conditioning Coach for Head Coach Tony Dungy with the Tampa Bay Buccaneers and the 2002 season as the Assistant Strength & Conditioning Coach for the Baltimore Ravens. Prior to that he served as the Assistant Strength & Conditioning Coach for the Minnesota Vikings in 1995. I am a fan of smoothies. I eat at least one almost every day. People often ask for good recipes, so here are just a few of my favorites. The secret to any recipe is to tweak it until it suits you. Some like thicker, some prefer thinner. Keep playing with the ingredients until you make it your own. Properly prepared, this smoothie is an extraordinary source of easy-to-absorb nutrition. It contains large amounts of “live” enzymes, probiotics, vitally important “live” proteins, and a full spectrum of essential fatty acids. 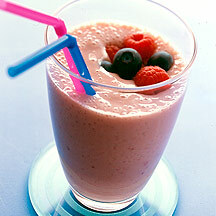 Smoothies should be consumed immediately or refrigerated for up to 24 hours. If frozen in ice cube trays with a toothpick inserted into each cube, smoothies can make for a great frozen dessert. Feel free to play around with different berry combinations. You might find something you really like. Send us an email with your best creation. We’ll post it in a future article and make sure you get credit for it!